Frequently, a graph, figure or picture from the textbook or the lecture really sums up the concepts we're trying to post about. In that case, uploading it to the wiki would be extremely helpful, but it's a bit tricky. Here's a quick tutorial on one way to do it that should facilitate all of our efforts in the future. 1. Save the picture somewhere easily accessible on your computer (your desktop works well) Important: it must be a JPEG file! 4. Our username is NRE509Fall2009 and the password is the same as was required to edit this site. 5. Once you've logged in click on the banner pull down menu "You" and then click on the subheading "Upload Photos and Videos"
6. Click on the "Choose photos and videos" link in the middle of the page, and select the image you've already saved to your desktop. 7. Mark the picture as public (or else wikidot won't be able to access it) and then click the "Upload" button. 8. 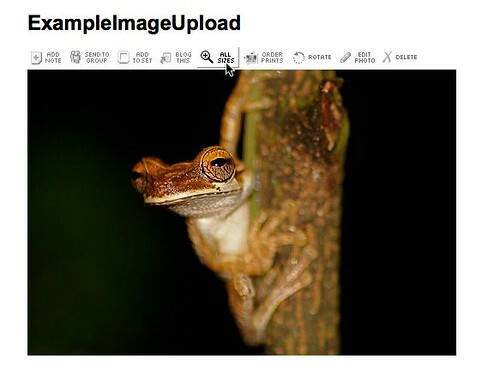 Once the upload has completed, click on the You button again and navigate back to your "photostream." You should be able to see your image here now. 9. Click on your photo. 10. Above your photo there will be a button with a magnifying glass and the caption "All Sizes." Click it. 11. Copy the URL of this webpage. 12. 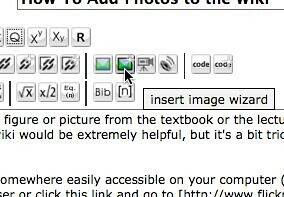 Navigate to your wikidot page and decide where the image should be placed. 13. Click the "Insert Image Wizard" button. 14. 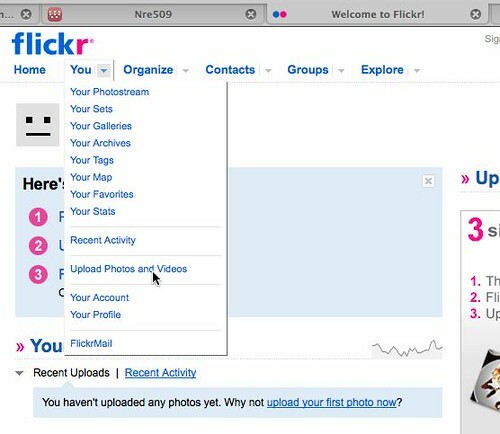 Click the "Flickr" radio button and paste the destination URL in the available space. 15. Click the "Check It" button to make sure you've got the right image and then press the "Insert Code" button. Formatting and careful positioning instructions could be added to this tutorial but this at least will get you started. Be careful to cite the source of any pictures or figures!